I was in a large party supply store a week or so ago looking for napkins. I found them, eventually, after wading through the front two-thirds of the store that was entirely given over to Halloween-related goods, from 15-foot tall inflatable lawn ornaments to every conceiveable costume--for children, yes, but especially for adults. Am I the only one to notice that over the last several years, Halloween has morphed from a children’s holiday to one just as popular among grown-ups? 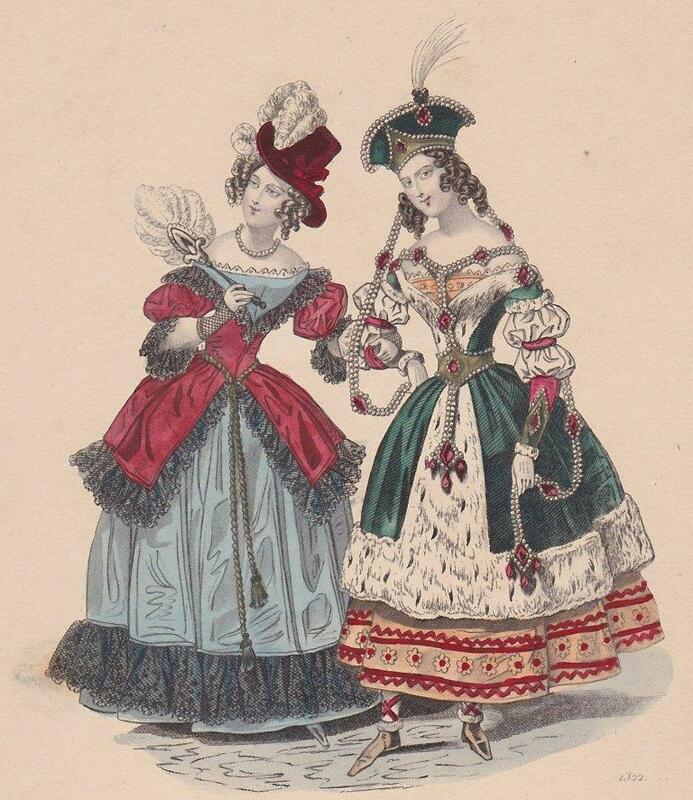 I guess some things never change, because people in the 19th century loved dressing up in outlandish costumes just as much…only they didn’t do it at Halloween. The 19th century was undoubtedly the century of the costume ball. Their popularity in England probably grew with our friend Prinny, the Prince Regent, who adored “dressing up”, first in military uniforms, then later in Scottish dress as he fell in love with the romanticized Scotland of Sir Walter Scott’s novels…and from there, it was a logical progression to adoring costume balls. A few years later, his niece Victoria was equally addicted to costume balls up until the death of the Prince Consort in 1861, and they remained popular at court (though she no longer participated) and in society at large right into the 20th century. 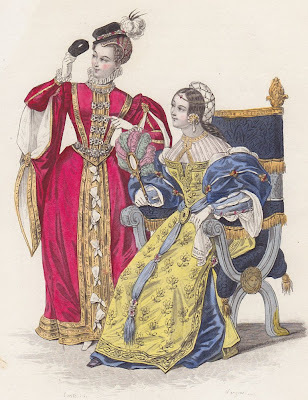 Historical and cultural themes for costumes--dressing up as someone from the past or from a different land--were probably the most usual, especially earlier on, but as you'll see shortly, costumes weren't limited to Queen Elizabeth or romantic cavaliers. 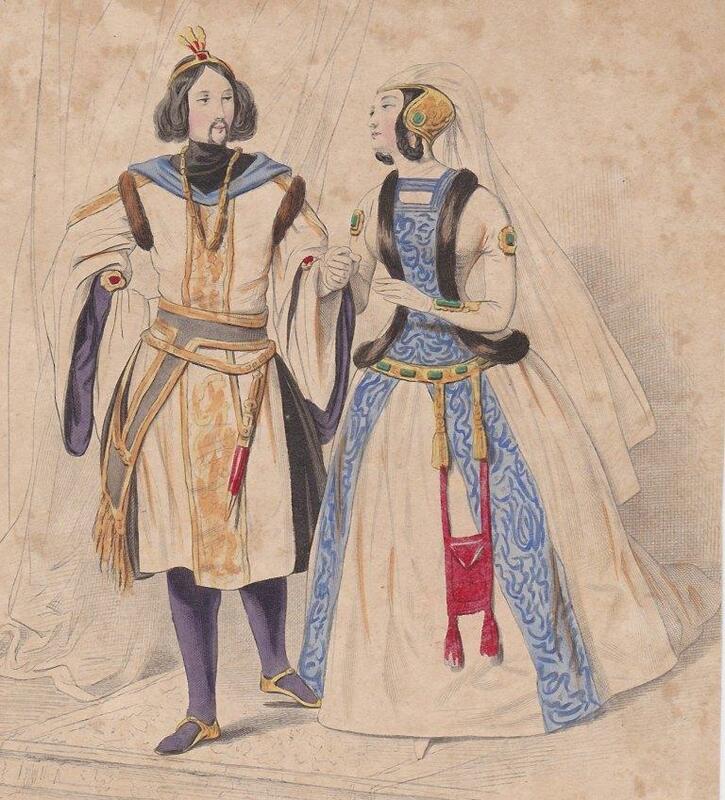 Here are a few costumes from the first part of the century for your Halloween inspiration (a post on the costume balls of the later 19th century would require its own post, as another Prince of Wales, Victoria’s bad boy son Bertie, also loved to play dress-up). Enjoy! 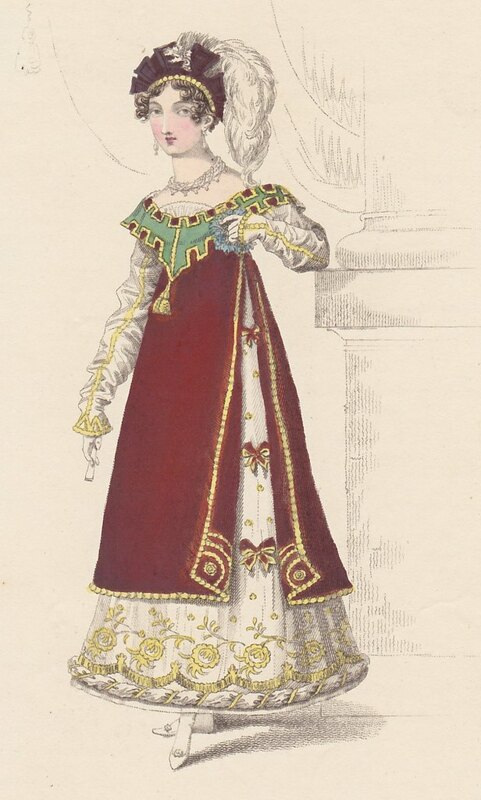 And a "Fancy Ball Dress" also from La Belle Assemblee, August 1820. 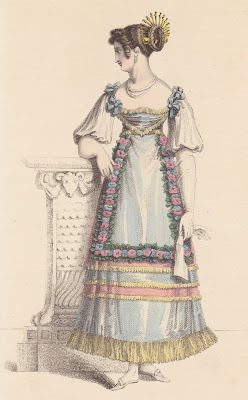 Perhaps she was going for the milkmaid look? 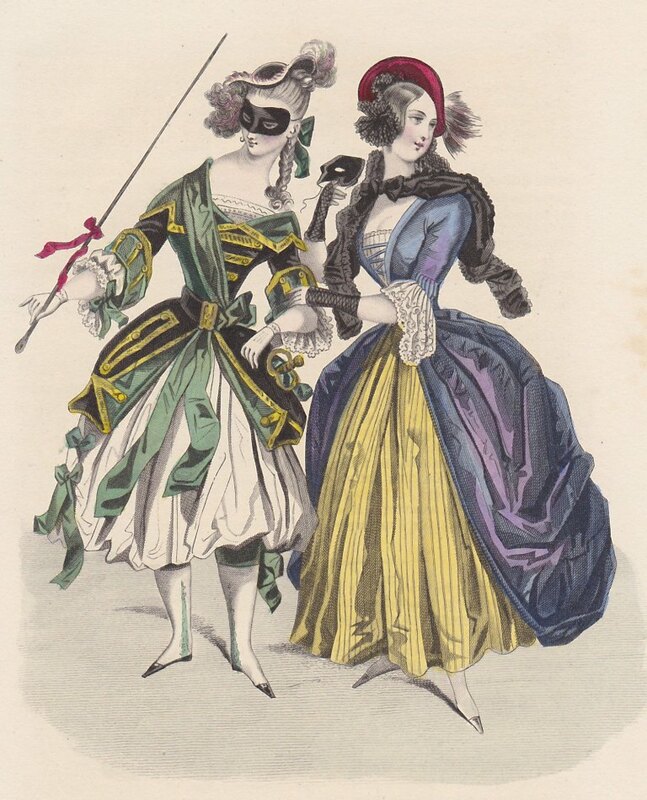 Last are a pair of costumes from 1838...first, these from La Mode--perhaps a musketeer and a revolutionary? 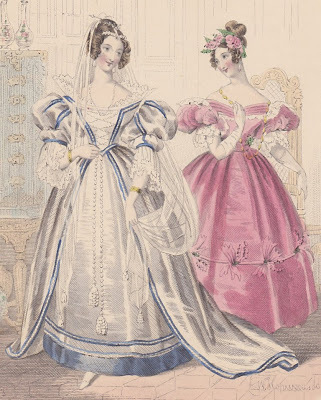 Are you dressing for Halloween? Would you want to borrow any of these costumes?